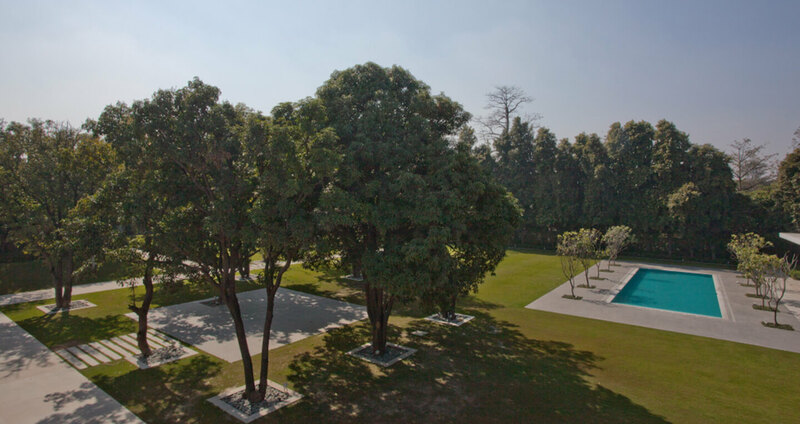 Located away from the busy part of Delhi, Mehta residence is located at the Porche Farms at Chattarpur. 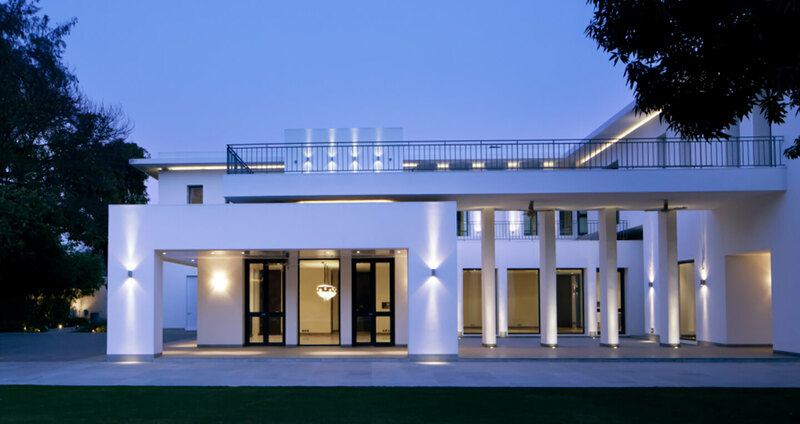 The residence that is now a holiday home to Mr Arun Mehta, a London based businessman and his family. 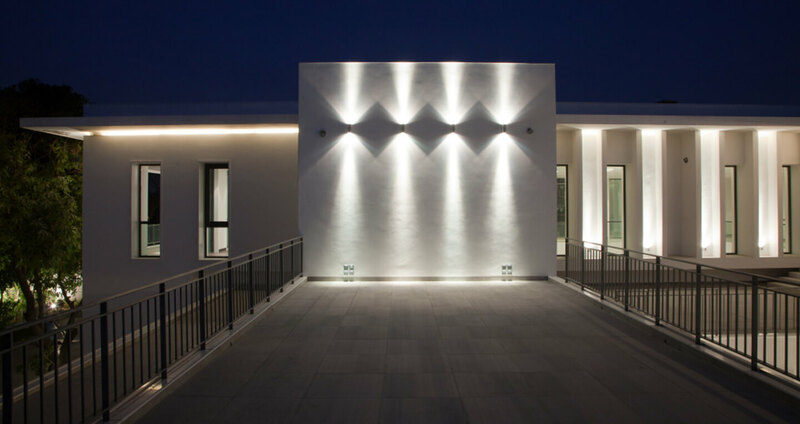 It was a challenge to meet the client’s requirements for this project, because along with general occupational brief and spatial requirements, the client also had very particular style in his mind that the house was supposed to supposed to express. 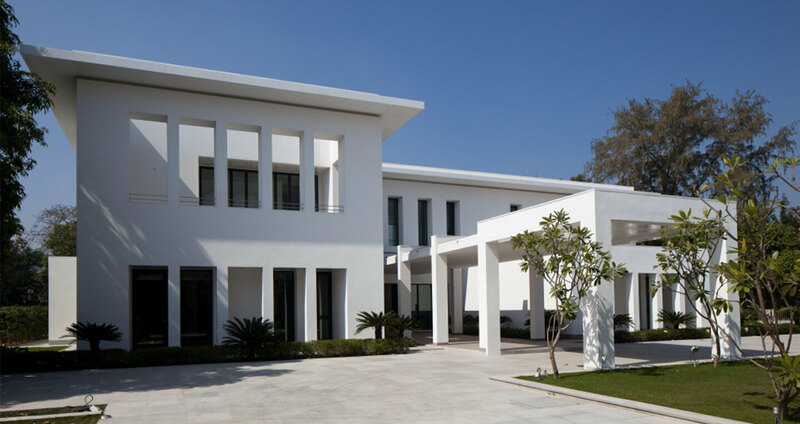 Mr. and Mrs. Mehta wanted a colonial English bungalow to complement their London based lifestyle. Being a contemporary design firm, Morphogenesis took it as a challenge to give an architectural robust that is contemporary, yet could be stylized as a colonial fashion. The architectural form is an overlap of two simple forms that resembles the English alphabet ‘T’. 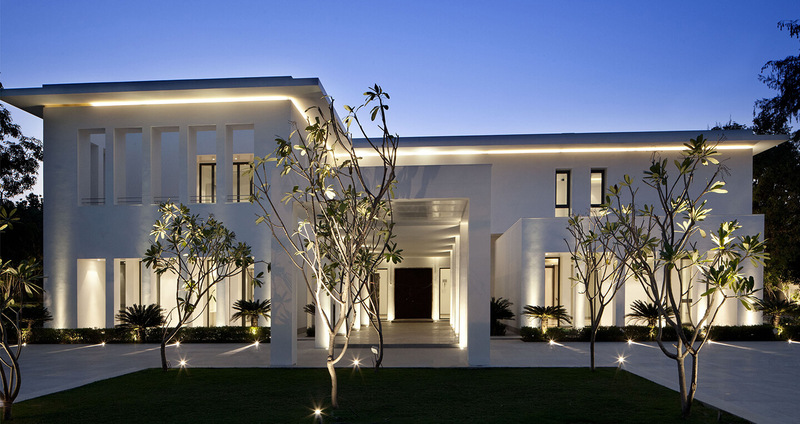 The proportions of the house are taken in a manner, so as to accentuate the linear elements. This requires developing the scheme on the three dimensional approach. Therefore, the plan, form and elevations were being developed right from the beginning stages at the drawing board. 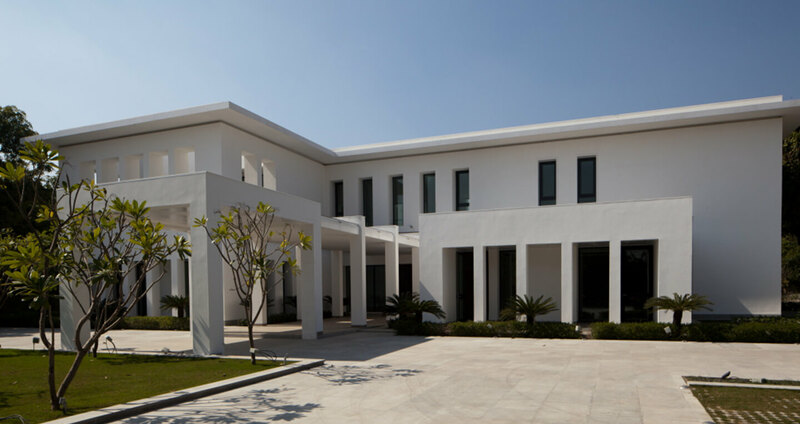 The windows, doors, vertical penetrations and colonnades indicated an inclination to the colonial style of building, yet were kept minimalistic and contemporary.